1.23 MB, 1080x1920px, 6.2 secs. 25.4 MB, 1080x1920px, 6.2 secs. 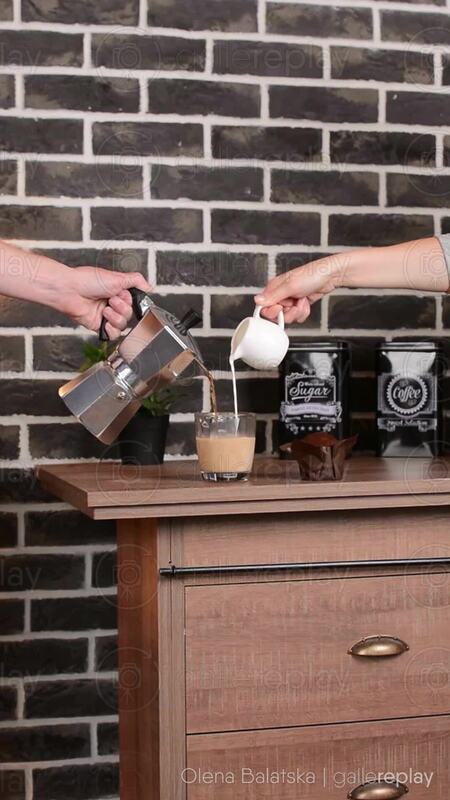 Two hands are pouring espresso coffee and milk together into a drinking glass.